There are two things that immediately came to mind while reading the book On Social Justice, Saint Basil the Great. As the Forward states, Saint Basil seems like he is writing to our generation. His words are so easily applicable to our society it makes one wonder if he really made much progress for the world. The second thing that immediately comes to mind is the question of why there is no Basil today. With Christianity so wide spread and the freedom to organize and build capital beyond ones dreams, one would think that there would be entire states or countries given over to the Gospel. 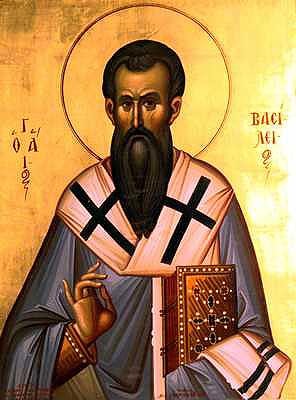 Saint Basil did indeed make progress for society today! Although we may currently be just as guilty as the Church at that time for “robbing the poor,” as Basil puts it, society at large has drastically changed by his work. The entire first millennium of The Roman Empire included dedicated Christian societies committed to the growth of the kingdom in ALL aspects of life! Saint Basil is responsible for major social accomplishments for all mankind in the New Covenant age: Basileias (or Basiliad), a small town within a city that had a church in the center with a what is now known as a “hospital,” a soup kitchen for the poor, and training for those in need of jobs. These Basileias flourished all throughout Europe up until the 1800s when the Byzantine Empire was finally wrestled to the ground by modern tyrants in Russia. Hospitals in the west are now primarily capitalistic ventures with no oversight or management from the Church, and Basileias in general (small towns which revolve around the Church and her social ministry) hardly even exist in modern societies (mostly western) today. As the book immediately previews in the Introduction, Saint Basil was born in a wealthy and educated family who produced many saints (mother, father, and four of nine siblings were canonized). On page 29, we see how “Basil shares with St John Chrysostom the notion that those who possess great resources but refuse to help others are guilty of a kind of theft.” I think of Bill Gates right now, as he attempts to help third world peoples with his vaccinations…supporting many drug companies, of course, and preventing families from having children (third world social security). My point being that I still cannot think of a wealthy person who has changed the face of modern society like Basil did. Also in the Introduction we see how Basil uses the word “common” often in his writings. Basil preached a worldview that held “all things in common.” He references all creation and how it all works together without hoarding and always taking only what is needed. After the Introduction, the book goes directly in to some of the popular writings of Saint Basil. Here are some interesting words from one of the most powerful chapters, To the Rich. The next chapter, I Will Tear Down My Barns, is similar to the last chapter but it entails more about facing death and how it is fruitless to say that we will give our “inheritance” to the poor, when we have no idea how the rest of our lives will pan out. Saint Basil mentions how becoming a part of the kingdom here and now is more important than we may think, and that God honors a person who actually gets involved with their philanthropy. The last two chapters by Basil are a little more personal toward the people of his particular community, embracing a current drought and how to deal with it on a Christian level, and then, in the following chapter, a lesson on how sinful usury can be. Overall the book is fantastic! Do not skip the introduction of this book, it sets the tone for Basil’s writings. The Intro introduces you to Basil and his background, a very inspiring story! The whole book is inspiring if one takes into account that even though we may not have the opportunity that Basil had – with access to so much resource and the very obvious poor practically knocking down his door for shelter – we can simply look on the Internet or the TV to see these people, and we can use the freedom that Saint Basil did not have, to use for the glory of God’s kingdom; freedom such as modern transportation and communication, along with philanthropic institutions and medical/health technologies that are readily available for us to build ministry.